You would think that being a writer I’d be spamming you with new posts on a daily basis. Well, my friends, that is simply not the case (as you can readily see). It seems like during the spring and summer I tear into project in the house full gusto, but once the months turn chillier and the daylight hours grow shorter, I’m completely content to settle in with a good book and try to destress from work. Halloween was boring at our house this year. I’ve been working crazy hours so the pumpkins and fall leaves and other assorted decorations didn’t get put out, save for our candy holder. 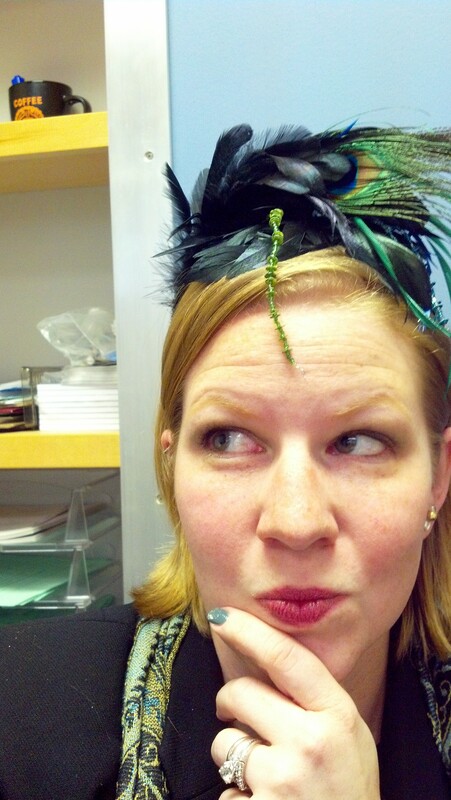 Oh, and I dressed like a peacock for the day. Now, the Man made fun of me, as he was taking the picture because the running joke is that our house is the “Where’s Waldo?” of peacocks and it’s scary that I could throw this together. But in my defense, the scarf is from my sister-in-law, the pin was my grandmother’s, and no peacock is complete without the rocking headband my aunt Susan gave me a few years ago. Needless to say I was one sassy admission coordinator on Halloween. And oh yeah – I’m a LOSER so I did my nails turquoise too. The best part of Halloween was the card we got from Aunt Susan, which TOTALLY looks like Loki (if you could get him to sit still). Then there was feline Friday where I totally failed at posting a picture of one of my fur-babies BUT… it was for a good reason. I was finishing a crocheting project for a friend! 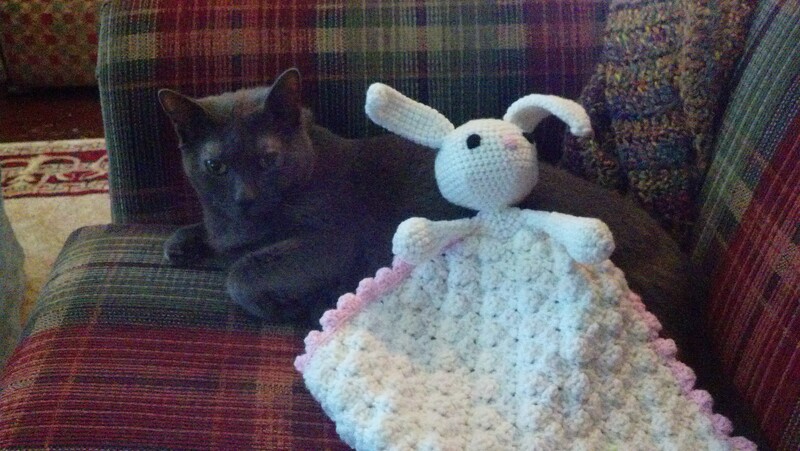 It’s a bunny buddy blanket that I pieced together from, oh, 4 different patterns to create. And Luna was more than willing to model it for me. 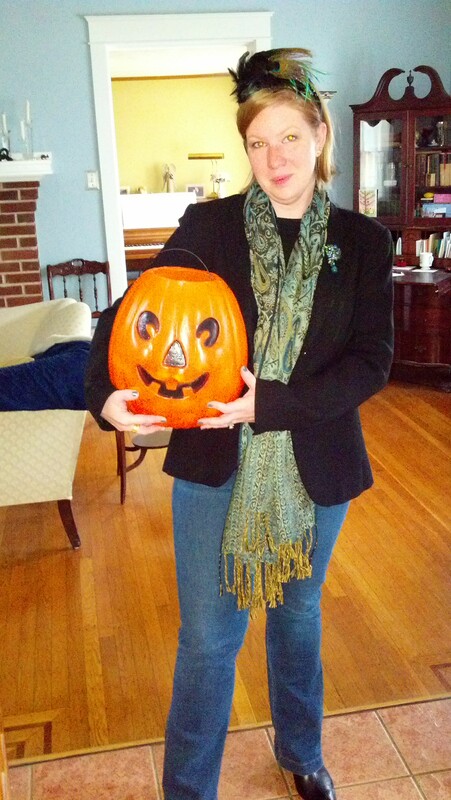 Then the weekend commenced and so did crazy errand running, and of course fall cooking! The day started out with the Man and I going to an estate sale which was boring but we each scored a good book to read. 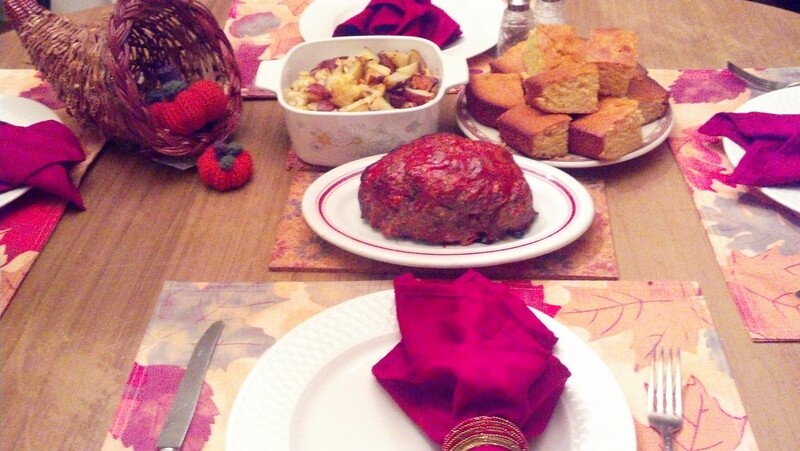 After he went to bed (he works nights still… ugh) I made two loaves of meatloaf (one to eat, one to freeze) with a honey/ketchup/Worcestershire sauce glaze, roasted cauliflower and potatoes with garlic and Parmesan, and cornbread on Saturday for dinner. I also threw a loaf of Italian herb bread in the machine yesterday, and made two loaves of butter bread today, one of which is on the cooling rack at the moment. And then, of course, I cleaned my house like a crazy person and did about 5 loads of laundry. I know my cats get a little frisky/crazy this time of year and love running aimlessly around the house. 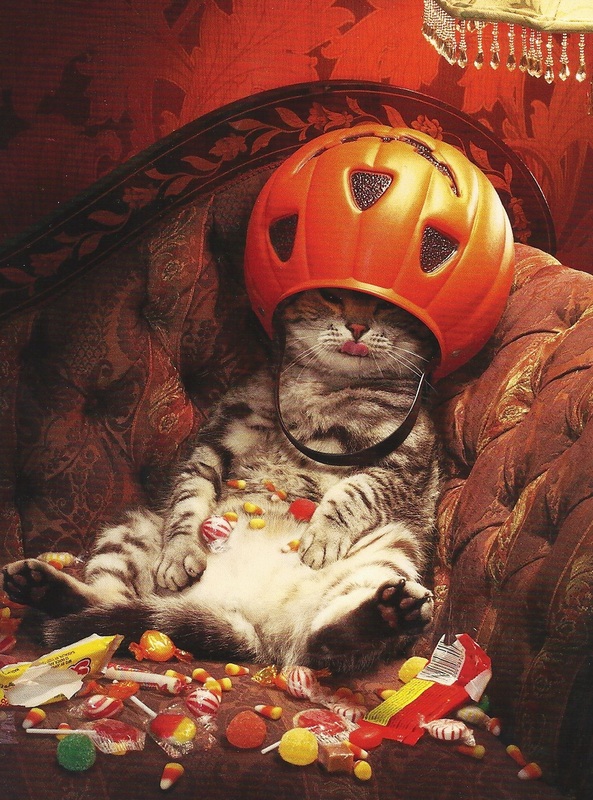 I kind of feel like I did the same thing this weekend. Good thing because it’ll burn off all the yummy carbs I cooked. Hope you all had a fabulous fall weekend! Next postis it bedtime yet? I love the bunny blanket – so cute!